Take off your coat and make yourself at home at Bonhay House. Whether you’re moving away from home for the first time to start an exciting new chapter, or returning to finish your studies, Bonhay House is a great place to live, learn and let off steam. 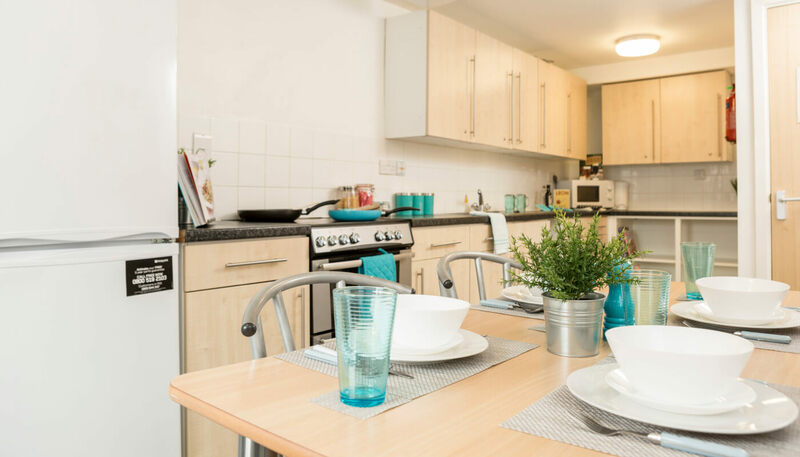 Because this property is just a stone’s throw from the University of Exeter and the city centre itself, the opportunities are endless for socialising at the best bars and doing new things – with the added bonus that you’ll probably always make it to uni on time! Discover our En-suite Rooms at Bonhay House in Exeter. With comfortable bed, handy study area & fun Village Life events, you'll have everything you need! Experience the ultimate in student independence at Bonhay House in Exeter. With en-suite bathroom and double bed, we think you'll love our Studio Rooms. What types of accommodation are available in Bonhay House? Our Bonhay House en-suite bedrooms offer privacy but with a fun and community feel, as you’ll share a kitchen and living area with six others who you’ll quickly become fast friends with. 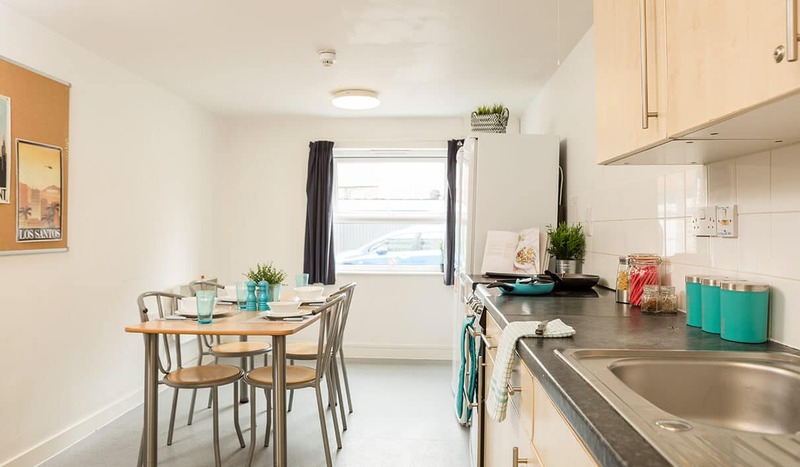 You’ll have the perfect space to look forward to coming home to after your lectures as each bedroom comes with a comfortable single bed, lots of shelf space and a handy desk set-up. Looking for more privacy? At Bonhay House we offer fantastic self-contained studio flats complete with your own cosy living and kitchen areas, as well as an en-suite bathroom and double bed, so you can unwind and enjoy me-time when you want to relax. Don’t worry though – thanks to our fun residential activities, you’ll still have plenty of opportunity to make friends with your neighbours! Whichever option you choose, living away from home will be a whole new adventure! With our convenient laundry room nearby to your accommodation, you simply won’t have any excuse to take your washing home to mum and dad! (Anyway, you’ll be glad you learned to do it yourself when you’re moving to your own flat!) If you’ve not had much cooking experience, uni is the time to learn (or settle for beans on toast), so we’ve made sure that there’s a shop within walking distance of your building. No need to fret over utility bills when you’re excited about lectures, nights out and exploring the city! Your all-inclusive weekly rent payment covers electricity, water and Wi-Fi internet access as well as contents insurance, so you can be sure your valuables are safe. We also offer an efficient parcel service on-site here at Bonhay House, so whether you’ve spent your student loan on revision guides and stationery or an inflatable banana costume for that fancy dress party at the weekend, we’ll look after your deliveries until you can come and collect them.